Am I the only one who thinks this week went by in a blink of an eye? There was so much that I wanted to get done, but didn’t manage to…. like another blog post for this week – sorry guys! Will try harder for next week! But I hope you don’t mind that i’m bringing you another weekly Saturday Edit. 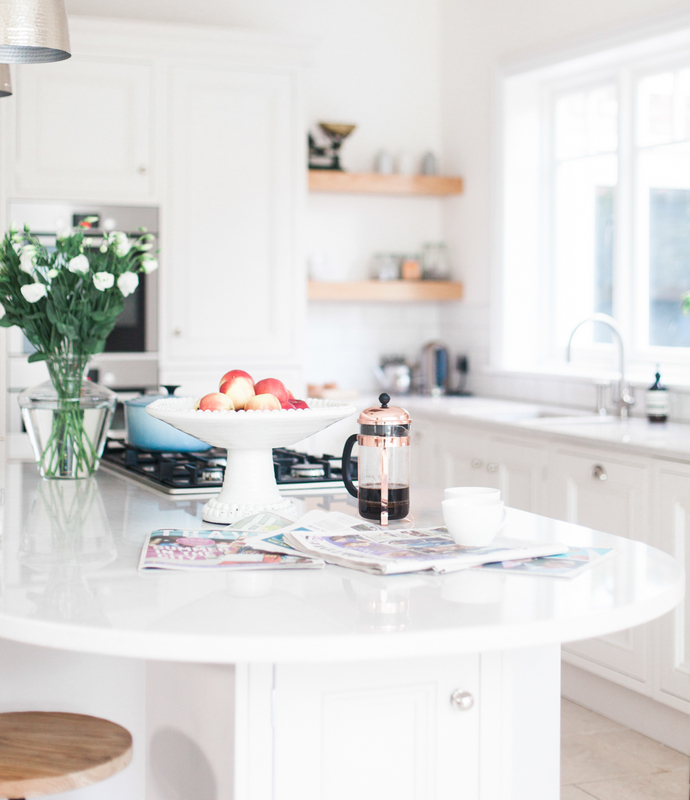 1.Did you spot my kitchen tour on the VERY gorgeous site of Laura Butler Madden? I mean – her house is swoon-worthy so I was incredibly honoured and delighted to be featured! 2. What I did spend most of the week doing is my latest hobby and obsession – arranging flowers! A few weeks ago I went to the launch of the Swoon Editions pop up in Birmingham (they are in Grand Central until the end of March) and whilst there I took part in a Bloom & Wild workshop. It seems to have ignited something in me! On Saturday morning I got up bright and early and went to the flower market to buy armfuls of blooms. Throughout the week I made up three bouquets – one for Mother’s Day and two for friend’s birthdays. Who wants one next?! If it could all magic it’s way in to my wardrobe, that would be great thanks! 4. The temperatures here in the UK are taking a nose-dive again this weekend. I am so ready for spring now, but the chill does mean I get to rock out my new pink sheepskin slippers for a while longer! I was sent them by Celtic & Co and I must admit they are the cosiest things I have come across. Check out their site for more colours and for other items including women’s sheepskin boots perfect for the chillier temps. 5. Anyone else love a good podcast? This week I was hooked on The Lifestyle Edit’s interview with Mavenly founder Kate Gremillion. It was really inspirational and had loads of really sound advice especially if you have your own business or side hustle. Hope you’ve enjoyed this week’s edit. As always, I’d love to hear your thoughts in the comments below or over on my Instagram. And don’t forget to sign up to my newsletter to get these posts straight to your inbox on a Saturday morning!